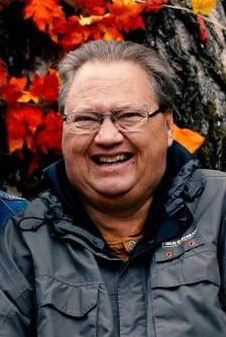 Randall “Randy” Glen Stott, 53, of Terre Haute, passed away Monday October 29, 2018 in Regional Hospital. He was the son of Emery Keegan Jr. and Betty Lou Cordray Keegan and was born February 1, 1965. Randy worked in the financial industry for many years. He was a member of the United States Marine Corp and served his country from 1984 to 1988. Randy was a member and Elder of the Eastside Church of Christ, where he also mentored for the Kids Hope program. He was also a member of the Lost Creek Conservation Club, the NRA, Ducks Unlimited and several other hunting organizations. Randy loved to be with people. He was the type of person who never met a stranger, and would always give a helping hand. Randy is preceded in death by his parents. He is survived by his wife, Terri Stott whom he married in 1992, a son, Nick Stott, a daughter, Katie Stott, a brother, Brian Stott and his wife Pam, a sister, Susie Brock and her husband Scott, a mother in law, Joretta Roloff, a brother in law, Bob Roloff and his wife Olivia, and nephews, Chris Brock and his wife Meghan, Brandon Brock, Cody Brock, and Austin Roloff.